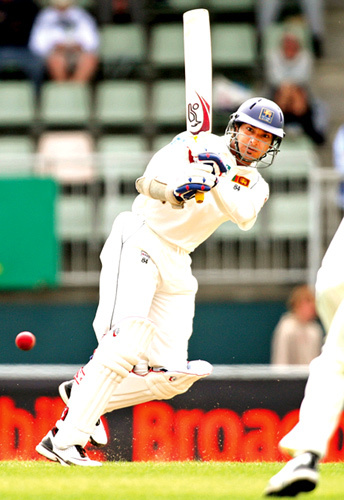 Kumar Sangakkara - A lot is expected from him in his batting and forceful leadership in tackling the forceful Indian team. Sri Lanka determined to beat India on Indian soil after 44 years! CRICKET: Sri Lanka will be looking for that elusive winning formula when they tour India for a 3-Test, five ODI and T20 series scheduled to begin on November 8. CRICKET: ABU DHABI, Nov 7, 2009 - Brendon McCullum hit a return-to-form hundred and Scott Styris took three wickets in two overs as New Zealand beat Pakistan by 64 runs in the second day-night international here on Friday. CRICKET: BLOEMFONTEIN, South Africa, Nov 7, 2009 - England started their tour of South Africa with a crushing 185-run over the Diamond Eagles franchise team in a 50-overs match in Bloemfontein on Friday.